Partisan uniform from the period after the capitulation of Italy (1943) blouse, BELT WITH MAGAZINE POUCHES are Italian, the rifle is Manlicher-Carcano mod.41. 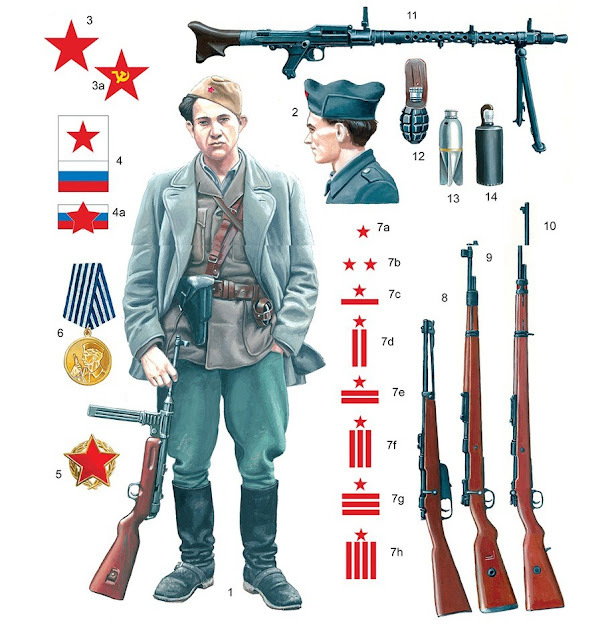 At the beginning of the Second World War, the main command of the Slovenian units, in the summer of 1941, gave a recommendation how the Slovenian partisan should be dressed. 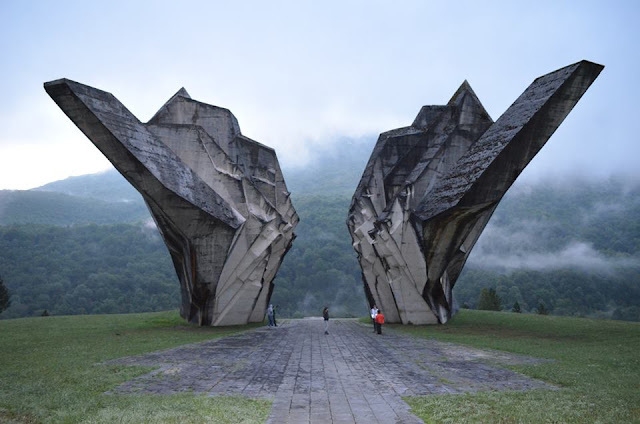 on the territory of Slovenia. The recommendation says that every partisan should be better dressed in good footwear . The fighters wore sports-cut pieces of clothing, hiking boots - first of all, they were in civilian clothes. But this was not appropriate for the partisan way of life in the forests. The Partisans dressed both firefighters and railway uniforms, as well as uniforms of the former royal army. On their heads, they wore all of the sports caps, hats, berets, French helmets ... 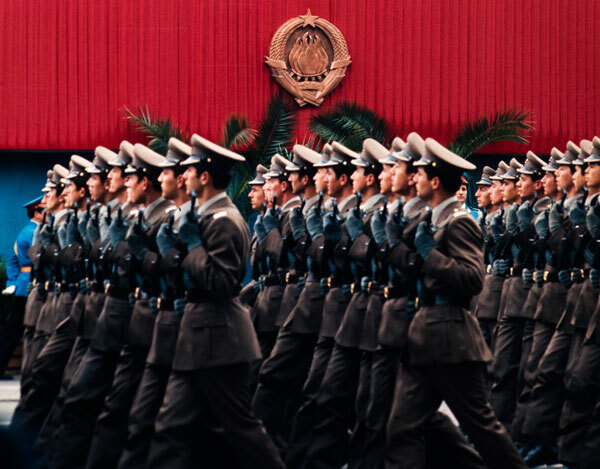 Thus, at the beginning, the Partisan army looked more like groups of mountaineers, hikers, rather than the army. 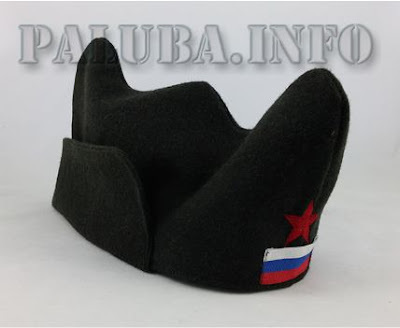 The main command was aware of this situation, in the spring of 1942, took over from the Croatian partisan hats with three "horns", tailored to the Spanish model, called them "triglavka". They became unique for all Partisans at the beginning of the war. This cap is adapted - folded several times (a curly strip added, which could have been covered with ears ...). The mark on the hat was a red five-pointed star with tricolor white-blue- red tape (Slovenian tricolor). Later, the red star "entered" into the tricolor tape. A large number of these marks was produced, from painted sheet metal, "Central" in Ljubljana. This diversity was somehow alleviated by the capitulation of Italy in the summer of 1943 when the Partisans received large quantities of Italian uniforms. 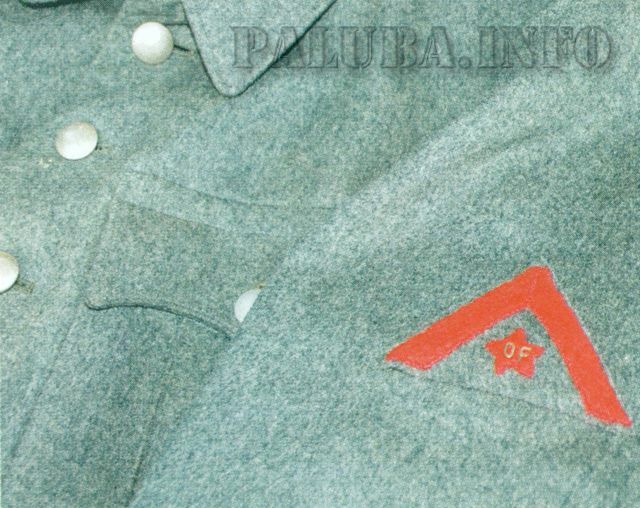 This uniform was mostly worn in Primorska and Notranjska, later on in Gorensky. In this period, the "tricolor" disappears from the hat and only a red star remains. As military booty (in areas occupied by Germany), their police and vermouth uniforms were taken over by the Slovenian partisans. In the summer of 1943, after Tito's idea, like the Russian flight caps, the partisans take that hat and call it "titovka". 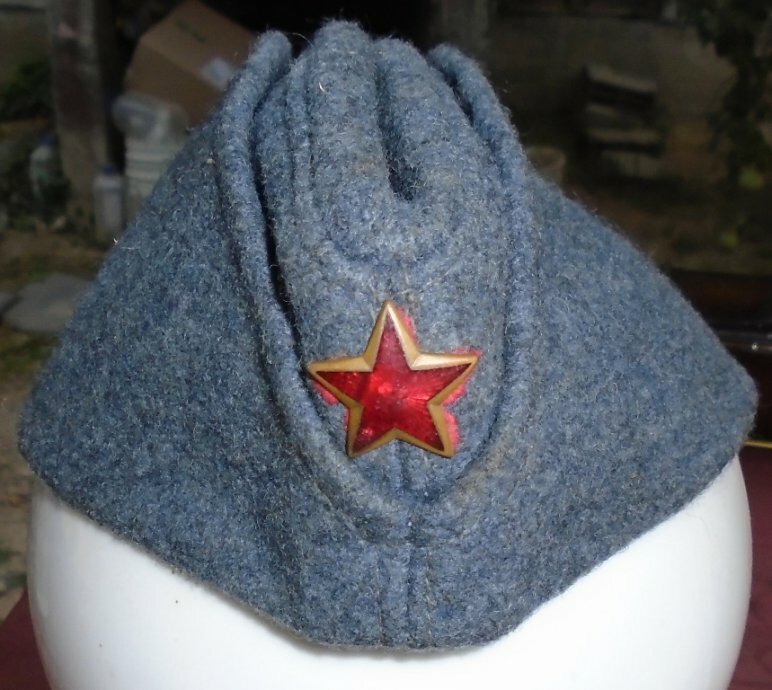 According to Tito's order of 1944, this cap was prescribed for all units of the People's Liberation Army. 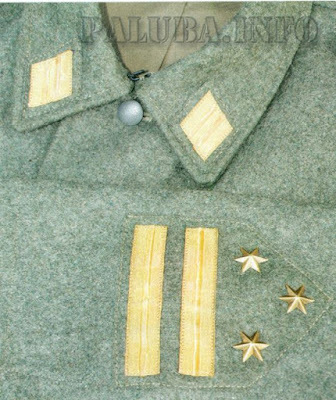 In the second half of 1944, the Allies had brought large quantities of military uniform called "battle dress". 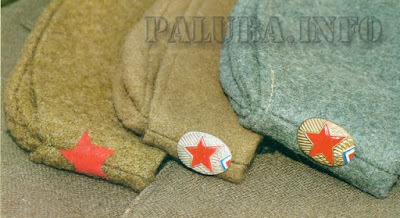 Thus, the Partisan army was only in February 1945, according to the headquarters of the Main Staff, the NOV received an official uniform, which was unique to the entire Yugoslavia. type A - long blouse, riding or ordinary trousers, gowns, gloves, high boots or shoes. Type B - the allied uniform "battle dress", at the end of the war was the most numerous. The command staff was until the summer of 1942 without markings. In the second half of 1942, the Supreme Staff introduced the ranks that the Partisans wore to their left hands. The labels consisted of tape and red five-pointed stars. Marks for political commissioners were the same, only in the red stars were the letters OF. This method of marking officers remained until the summer of 1944 when it replaced the partisan ranks. The Slovenian partisans were armed with weapons that were rejected by the Royal Army. 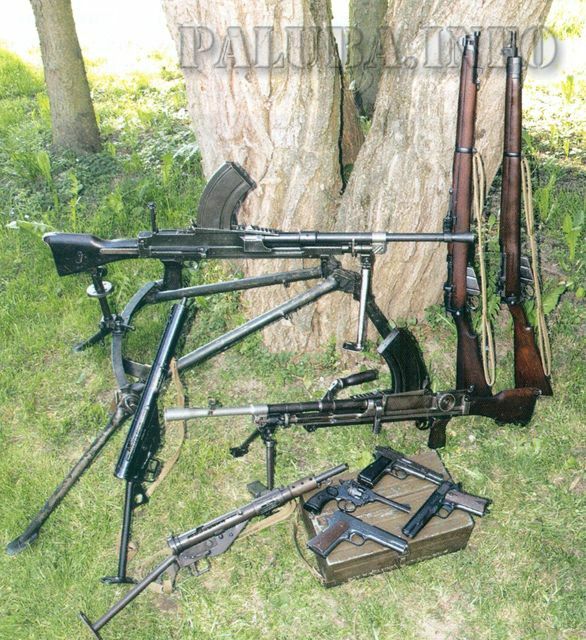 So we find the M24 rifle, PM Zbrojovka M37, Browning M1919 / 1922 gun. 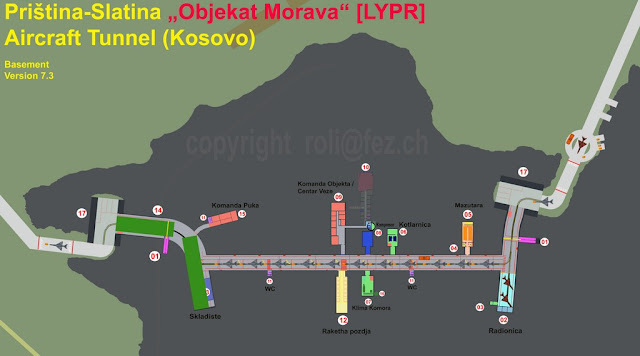 In addition to the standard weapon of the collapse of the Royal Army, we find weapons of war from the First World War as well as weapons from the Balkan wars. These are the Mannlicher M95 rifles in the infantry and equestrian versions, Lebel 1907/15 as well as Lebel 1882. In addition to the aforementioned Browning 1919/1922 gun, we find other types of pistols and revolvers. 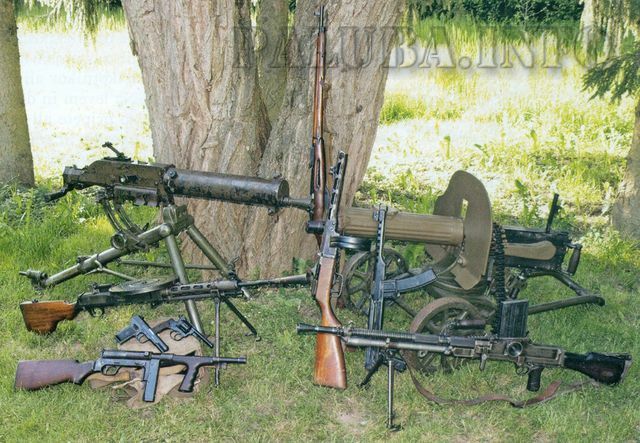 (Stayer M12, M19, Browning M1900, Gasser M1870 and Bodeo M1889 revolver). The heavy weapons were machine guns Schwarzlose M07 / 12 (from the former Royal Army warehouse). We must not forget different hunting weapons. By increasing the number of partisan units in 1942, lacked the weapons. They were armed only with captured weapons in fighting the Germans and the Italians. For the successful conduct of the war, there was no longer enough weapons from the military prey and the resignation of the former royal army. More important was the military aid of the Allies, which began to arrive in the second half of 1944. The shipments contained guns Lee-Enfield No.1 Mark III and No.4 Mark I, Sten Mk.II and Sten Mk.III, which the Partisans did not like for an accident. 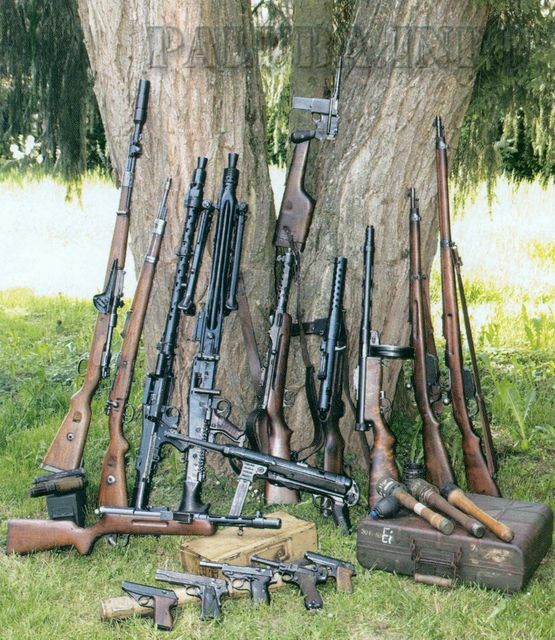 In addition to the Allied weapons carried by and confiscated weapons, German-Italian, which was in large quantities after the liberation of France. Needless to forget the smaller amount of weapons that have brought with them the military mission and left it after departure from Slovenia. 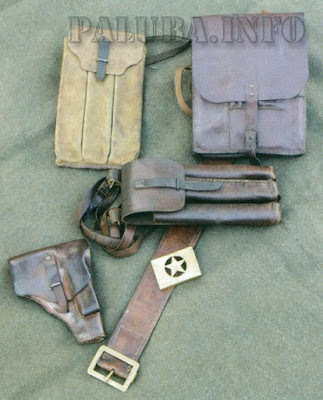 Thus, in the hands of the Partisans, there are also Tomphson M1928A1, United Defense M42, Carabine M1, Colt 1911.A1. Assistance in weapons from the USSR. The Partizans thus get the machines of Spagin PPŠ 41 and Sudajev PPS 43, a larger quantity of guns Tokarev TT 33 and Nagant M1895 revolver came.